For establishments that seek to create a warm, inviting atmosphere such as bistros, bars or catering operations, the Conrad pattern presents a perfect option. 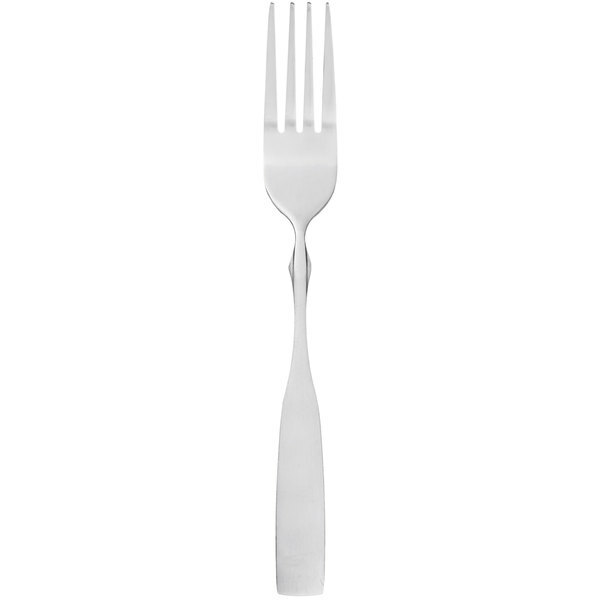 This dinner fork is crafted from heavy-weight 18/0 stainless steel and is chrome-plated with a satin finish. The item is measured at 7 3/4'' long. A four-tine design allows for versatile use in picking up nearly any kind of food. 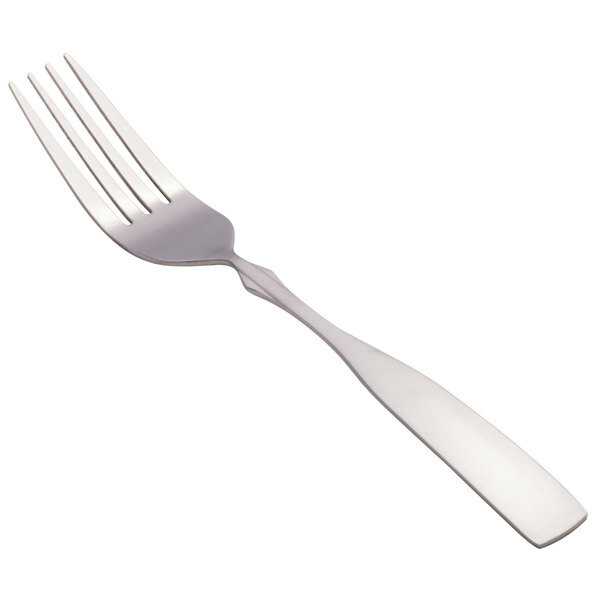 A dinner fork is part of nearly all traditional place settings, and is typically reserved for the main course. 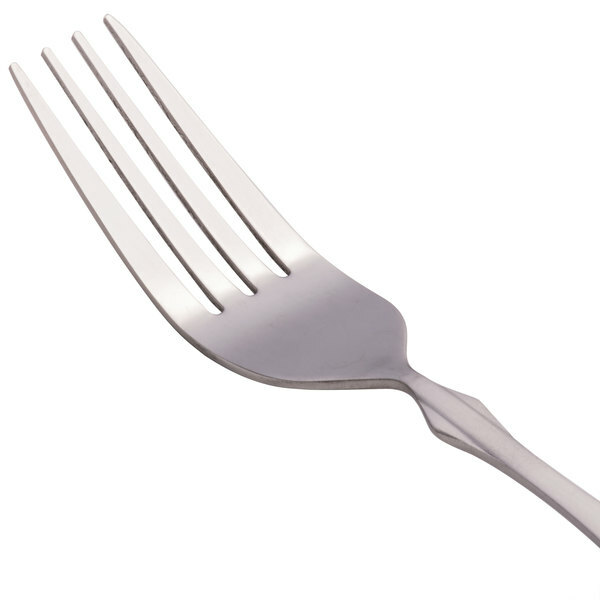 In many casual or quick-service restaurants, this may be the only fork used. This Conrad stainless steel fork will bend and need to be replaced after a few months of use. Not a bad product for the price. Simple yet elegant. We use this silverware for all of our bar, restaurant and banquet needs. They are lightweight and durable. Perfect style for casal dining restaurants. These are the only forks we have in the office. We bought the spoon, and knife, of the Conrad collection and are very pleased with the entire set. The forks are a good weight and do not seem to bend like really cheap silverware. Love this product! The look really stands out and makes for a great set! I recommend buying the whole set. Sometimes they can be difficult to polish. Even though these are selling for a very good price the weight and feel of them feels like a very expensive piece of silverware. We would never use anything else! These forks are great. Especially for the price. They look beautiful and you'd never believe how affordable they are just by looking at them. A great item. We were running low on forks and spoons and wanted to give these a try. They get the job done, are easy to clean and very sturdy. They have held up well so far and we are pleased. These were reasonable forks that I use for formal events. They are shiny even after several washes. I want to get matching knives and spoons. Very stylish forks. Our clients enjoy this elegant look. Great for any type of occasion or restaurant. Sturdy material and easy to wash. Very well made. 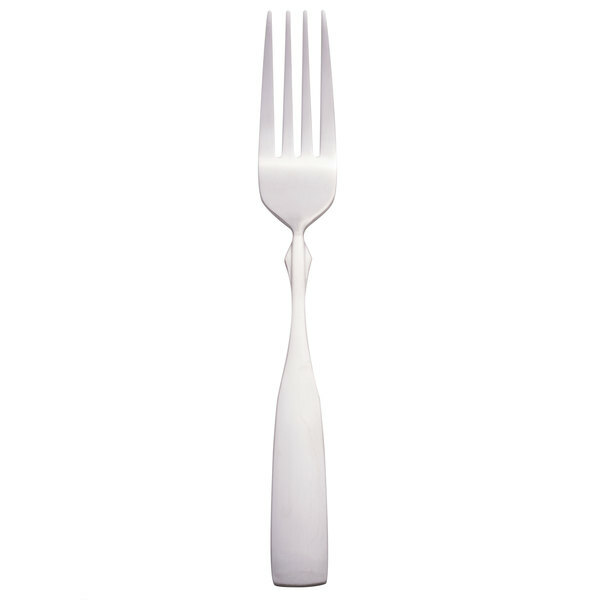 These forks have a sleek, simple design, and are sturdy enough to handle high usage. 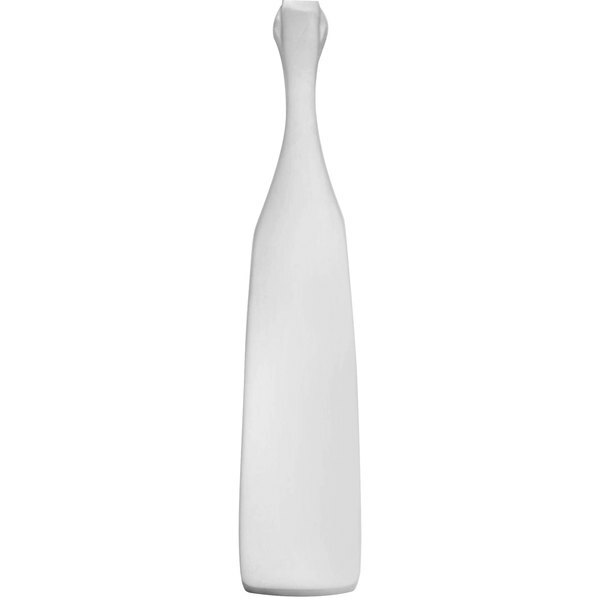 I love these forks, always on my rapid reorder, at a great price! We bought these as a set with matching knives and spoons. Good quality silver wear and they wash well. We use these in a restaurant that gets plenty of use. Great forks for the price, I use them for entertaining. If one gets lost or thrown away its no skin off my back. Price is the big draw for these, so I can't really complain about the fit and finish. If you wanted to use these for home use, you realize a dozen forks is quite a few, so you end up putting half of them away for a later date. I decided to buy this line of silverware because of the price. I did not want anything too cheap, but I did not want to spend hundreds of dollars on silverware. This silverware is great quality and it looks awesome set on the table! Great design and easy to grip. Goes well with the Conrad flatware spoon and knife. They are very durable in the dishwasher and resists damage from our customers. Good value. A nice step up from the boring old flatware that most generic establishments use. Provides a slightly nicer ascetic than the traditional options. We use these forks in our restaurant. They hold up well, they are a nice clean design and a nice balanced weight. We will continue to purchase them. This brand of flatware has done beautifully for us. The tines are very durable and do not bend easily - even when they get a little stuck in the holes of the stainless flatware holders. Good value, strong, durable and nice neat appearance. Exceptional value for the price. I requested samples since I am very picky about the silverware I offer and I was pleased to receive such wonderful samples so quickly. The forks have excellent weight and balance. Save Up To $0.58 with our Recommended Product! Consider this Acopa Delmont 7 7/8" 18/0 Stainless Steel Medium Weight Dinner Fork! 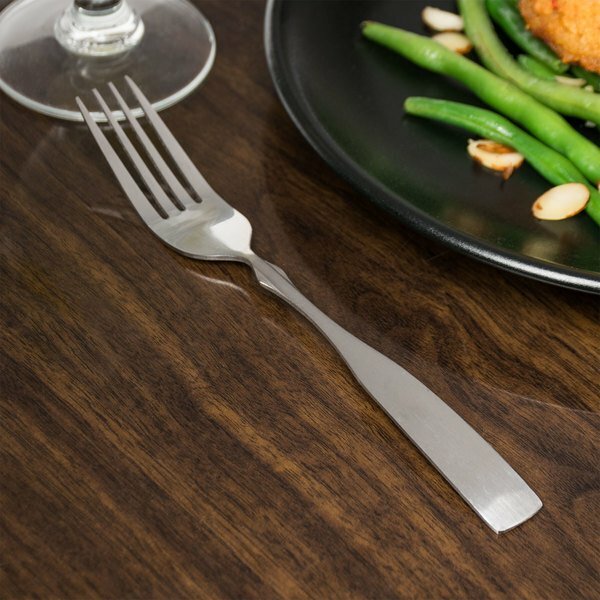 This dinner fork features a strong, square design with a gently curved panel for a shape that is simple but attractive. Acopa flatware is designed to stand up under the rigor of daily use, making it perfect for your restaurant or bar! 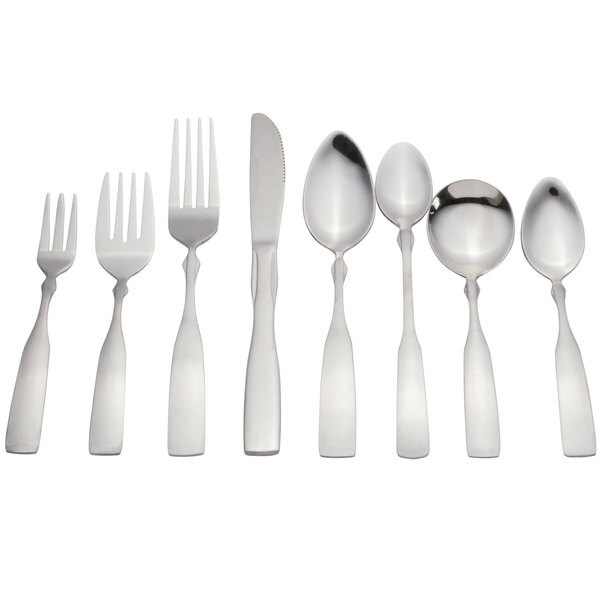 Great flatware for your family restaurant, bar and grill, or cafe.